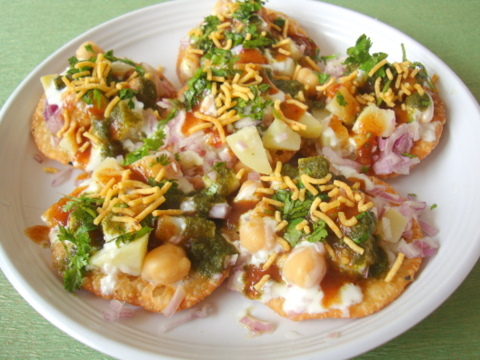 Indians love their favorite chaat wala and spend many a evening eating their favorite masala puri or pani puri, relishing its magical, addictive flavors like there’s no tomorrow. And why not? Its comforting food that warms the palate, delicious and economical on the wallet. 1 Take a wide plate and add the maida, oil, kalonji and salt and combine. Slowly add water and make a smooth dough. Leave aside covered with damp cloth for 15 mts. 2 Knead the dough again for a mt. Pinch off some dough and make very small balls. Roll out small thin rotis. Make deep dents in the roti using a fork or knife. 3 Heat enough oil for deep frying in a heavy bottomed vessel. It should be on medium high and once its hot, slide the roti into the hot oil and allow to cook. Flip over and fry the other side till light golden brown. Don’t fry too much as it will turns too dark. Remove on to absorbent paper. 4 Cool and store in an air tight container and use when required. Note: Ensure the oil is hot enough before frying the papdi. 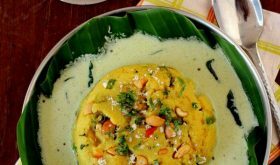 If the oil is not hot enough, the papdi will absorb a lot of oil. Alternately, you can roll out a big sized roti and cut it into diamonds as shown in the image above. Take a wide serving plate. 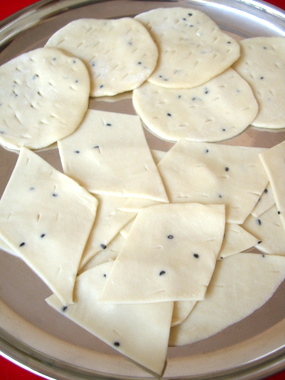 Place 4-5 papdis, layer each papdi with chopped or mashed boiled potato and boiled chickpeas. Next spoon green chutney and sweet tamarind chutney. Spoon sweetened curd/dahi. Sprinkle some chopped onion. Finally finish off with sev and coriander leaves. Serve immediately. Yummy ! Almost reached out for the plate of goodies ! I don’t mind having this right now for breakfast!!! I feel the same way ! 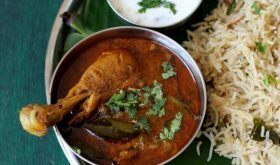 Roju mee intike vachestam BF+Lunch+Dinner ki..
As always great recipe and awesome pics!! How do u sweeten the curd? Just by adding sugar or do we need anything else? Just add a little sugar to the dahi, Baby. I wish i could grab some from the picture, They are mouthwatering. 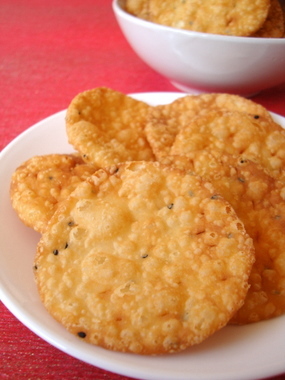 I can almost taste the tangy tamarind and crispy papdi in the picture. Thanks for your wonderful recipes. stumbling block to my mission! Huh! You’ve been my inspiration in the kitchen. What make/ model of camera is yours- please? Your pix are as fab as the dishes you make. I use a point and shoot Sony Digital Camera, Lakshmi. It’s not only your camera but also your decoration of the items that enhances the pictures. Gr88888 work, Sailu. 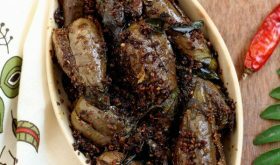 wow, i cant wait to try this….mmmm….pls tell, if i want to make this in a large dish in advance for a party, i am guessing the crispy elements will become soggy by the time i am ready to serve? how do u get around this? 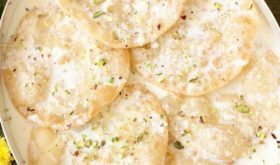 You can make the papdi and store in an air tight container. 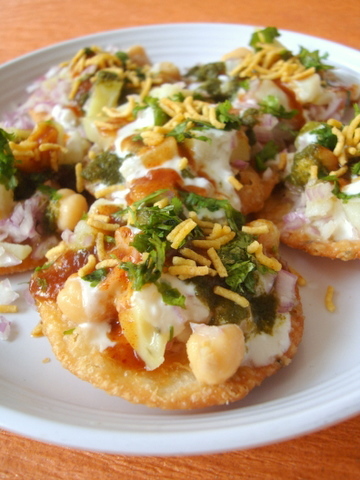 Keep all the other ingredients ready, Prepare the chaat just a few minutes before serving. i dnt eat fast foods lot,bt there r sum receipe dat i lyk most.1 is papdi chaat.thnx 2 u 4 gvng us d procedure of papdi chaat.bt if u dnt mind cn u make it more simple d papdi chaat n easy. Love your blog!! Great going!! 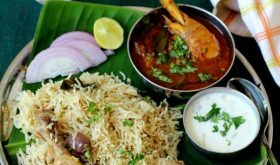 Awesome pics..
yummyyy..your receipies are really gud sailu..Thank you so much for helping us with all indian receipies.. Loved the recipe! Just had a quick question, I made sure the oil was hot but my papdis were still soft in the middle after frying and hard on the outside? Is there something I was doing wrong?